It was one of those 'blah,' flat-light, grey winter days, in which it felt colder than it actually was! Feeling a bit uninspired by the landscape, I couldn't resist another 'porcupine' capture! At least he was out and about trying to enjoy the day! wow, such an amazing looking critter! They really are quite an interesting critter Tammie! I'm rather fascinated with them! The girls haven't been close to one and Ri-dog is remembering his last trip to the vets to have quills pulled out! Beautiful porky shot -- and it was even relaxed around you. Also, I really like your new header -- such a moody shot that tells a story. Thank you! She doesn't seem to mind me snapping my camera at her ... the male however, doesn't stick around for very long! He wants nothing to do with me! LOL! I chuckle at my header image as it does have a story! I had fed and bedded the girls BEFORE the storm hit but they left the comfort of the corral before the storm hit as well! Needless to say they had to make a 'dash' to get back! Great article Matt! It's funny, I can pick out the images I reluctantly used (likely due to the lack of having anything that I really liked) and yet, they are often the ones that get the most attention! I guess we truly can be our own worse critic! 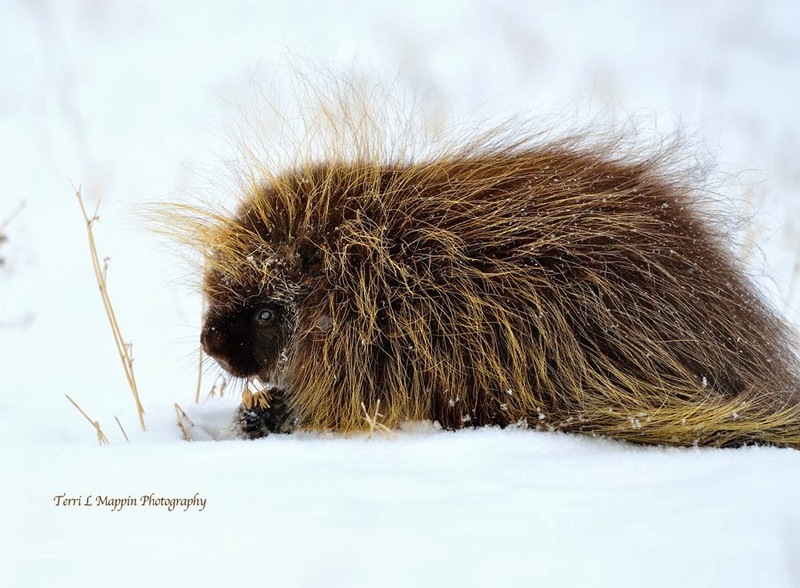 I actually like this image of the porcupine but I found the blah, grey day a struggle to be creative! I was pleased the porcupine was out and about for me!